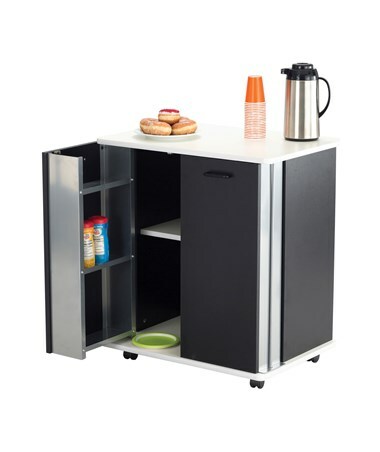 The Safco Refreshment Stand is a modern-looking storage unit for organizing and keeping beverages and refreshment items. It features a two-door compartment with one adjustable internal shelf and three built-in shelves on each door. The door storages have containment lips that prevent items from falling. The internal shelf can hold up to 50 pounds of weight while the door shelves have a capacity of 10 pounds each. This storage unit is mobile on four two-inch dual wheel casters, two of which can be locked when desired. 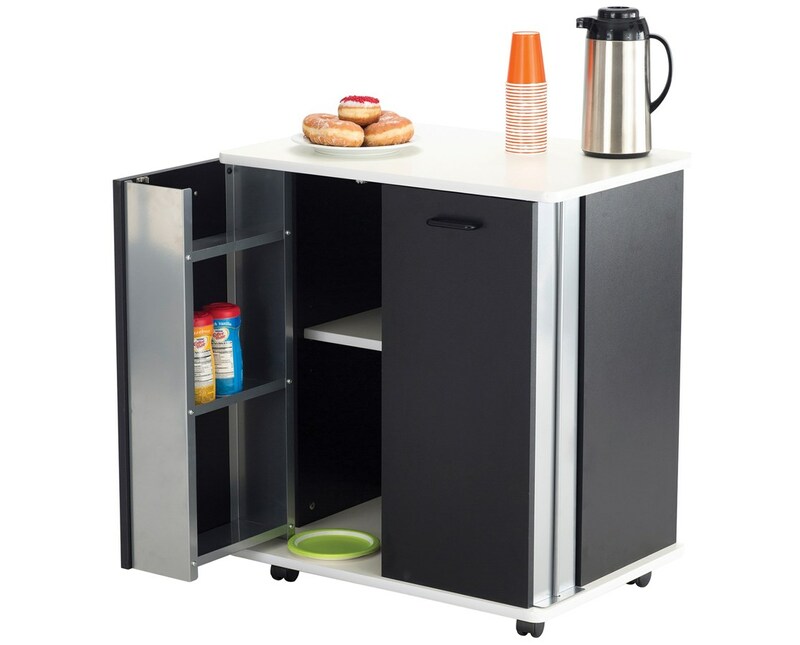 It is made of laminate wood with a melamine service top and 20-gauge aluminum trim.